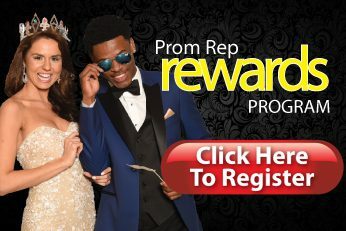 Prom is a special event that celebrates your accomplishments throughout your academic career and signifies a passage into adulthood. The Prom Tradition of exchanging the bow tie for the prom garter began over 45 years ago in a small town in the Midwest where two high school sweethearts wanted something to remember what was the most exciting night of their lives. The young man removed his bow tie and clipped it comfortably around his dates neck. Quick to return the gesture his girlfriend removed her prom garter and proceeded to position it around his arm where it would remain for the rest of the evening. From that moment on the Prom Tradition was born! Word of the exchange quickly traveled throughout the country and today the bow tie/prom garter exchange is a hallmark moment for high schools everywhere. Many schools formalize the exchange by having a dedicated exchange dance during the night in which guys and girls present their keepsake to their dates. The story says that those original high school sweethearts who started the tradition were soon to be married after graduation and to this day still have their keepsake bow tie and prom garter in their home for all to see and for them to remember what was the most magical night of their youth. Don't forget your keepsake bow tie and keepsake prom garter! It's a Prom Tradition! Sign up now and have a chance at winning a college scholarship!